A survey by United Van Lines movers revealed the top destinations for Americans moving across state lines, and South Carolina is #2, following Oregon. 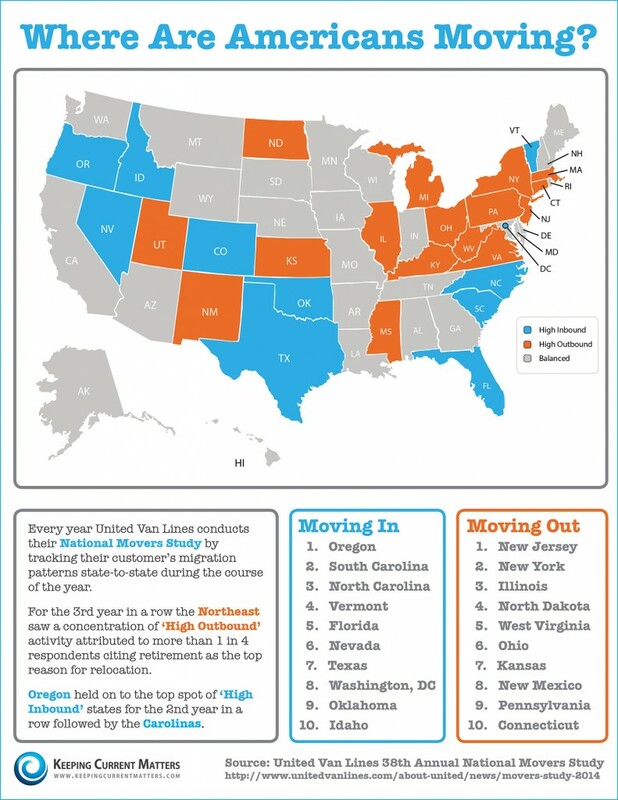 Many states saw a balance of people moving out and people moving in, but for some states there is a clear migration pattern. A large number of mid-Atlantic states and part of New England (with the notable exception of Vermont) are seeing a general trend toward people moving away, while the inbound trend is strong in the Northwest, the Carolinas, Florida, and in and around Texas. Click the image for a larger resolution.